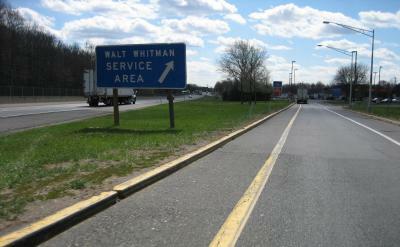 Wonder what Walt Whitman would say if he saw his name attached to a “service area” sign for the southern-bound? Driving down to Baltimore today, where I am happily ensconced now, I decided to listen to a cd I’ve had on the backburner for awhile. But let me back up: I love, love, love Natalie Merchant and have for many years — well, Natalie Merchant after her stint as the lead singer for the 10,000 Maniacs. Her voice verges on holy at times. Merchant’s songs are melodic and soothing in ways my uneasy soul requires now and then. Separately, I also love folk music. In the tradition of peanut-butter and chocolate, Merchant opted to join hands with folk and make “The House Carpenter’s Daughter.” Don’t be put off if you think the combination sounds odd at first. Merchant put some real thought into this album – she has written all of the liner notes as well as introductions to every song, which include reasons for each selection. “… These are the songs to soothe resltess babies, accompany the games of children, ease toil, celebrate love and mourn death, they speak of the spirit world and weaknesses of the flesh … What they all share in common is that they remind us of our humanity, of what we share. Sadly, these are the songs that have been gradually slipping away from us. Since the abandonment of agrarian for urban life, the swift death of regionalism and the advent of recorded music, we have left many of these songs behind as relics in printed anthologies and the field recordings of musicologists. The album is certainly worthwhile and one that can only enhance a drive from NYC to Baltimore on a gorgeous chilly spring day. In relation to the query Merchant ends with: yes, people gravitate toward the familiar to ground themselves in what’s known before venturing into what’s unknown — it’s the paradox of our ’shared humanity’. We want to feel secure before we give into the deeper drive to find out what we don’t know. It’s a simple equation really: I want strong roots before I go prodding around in the dark – that way, I won’t actually fall should I trip over something uncertain. But alas, poetry folks know (& this is our secret bond) that the security and the risk are equally grave and promising because the ground is as temporal (temporary) as anything else we don’t know — so the familiar we actually end up pining for is the familiarity of searching for the unknown, however unknowable it is. That’s why we’re happy to shake the very foundation that ‘our humanity’ always returns to for reassurance: words words words. There is no there there, folks. And this is worth all of our effort. This entry was posted on Thursday, April 6th, 2006 at 3:09 am	and is filed under Poetry, Music. 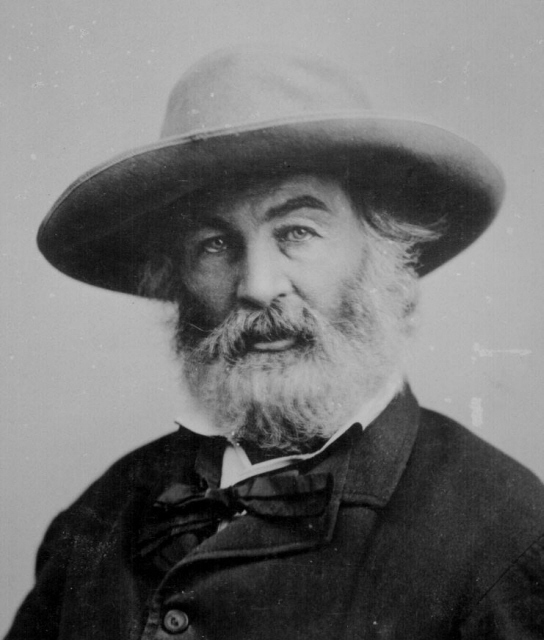 April 6th, 2006 at 2:50 pm eI had Whitman on my mind the other day, too! Here’s what came out. This swizzle-stick beneath your head! You’ve fallen cold and dead? Exult O nine-to-fivers, and ring O cash register bells!